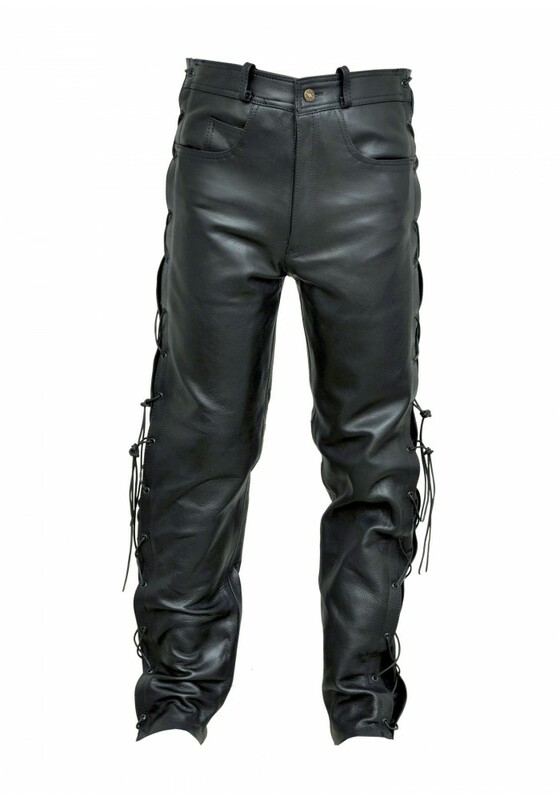 There’s no doubt about it – these black jean style leather pants are rock ‘n’ roll worthy. With unique lacing detail on the sides, you have the ability to tighten or loosen the trousers to your preferred fit, not to mention it looks extremely cool! 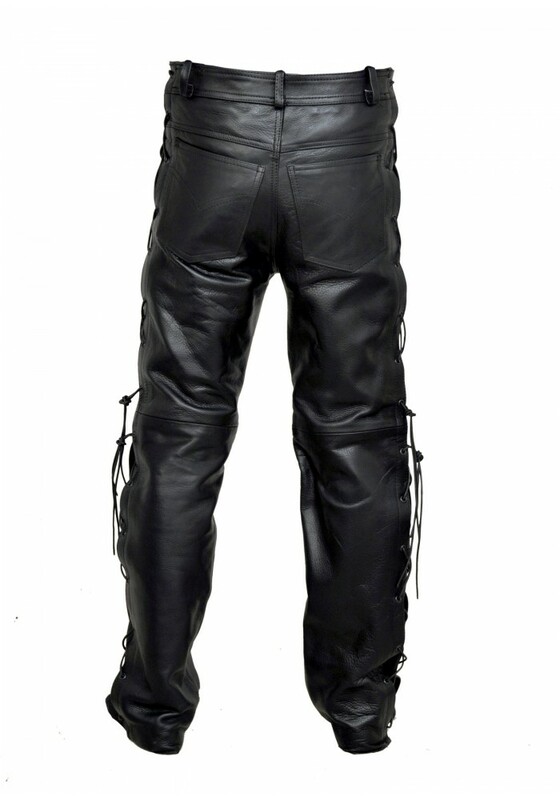 On top of that, they are made from soft cowhide leather and show off a seamless appearance from the front. With five pockets all up for your bits and pieces and a superior level of wearable comfort these pants will have you rearing to go and ready to rock!